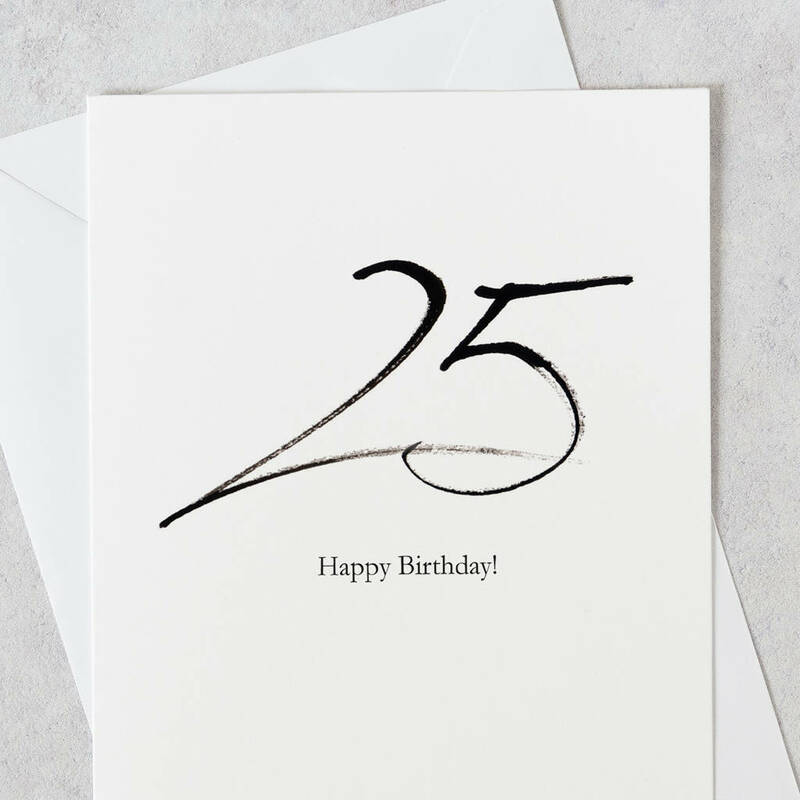 Celebrate a quarter of a century with this modern calligraphy 25th birthday card! This contemporary card is perfect for celebrating the 25th special age birthday. The calligraphy was originally drawn by hand using a Japanese reed pen and Indian ink. 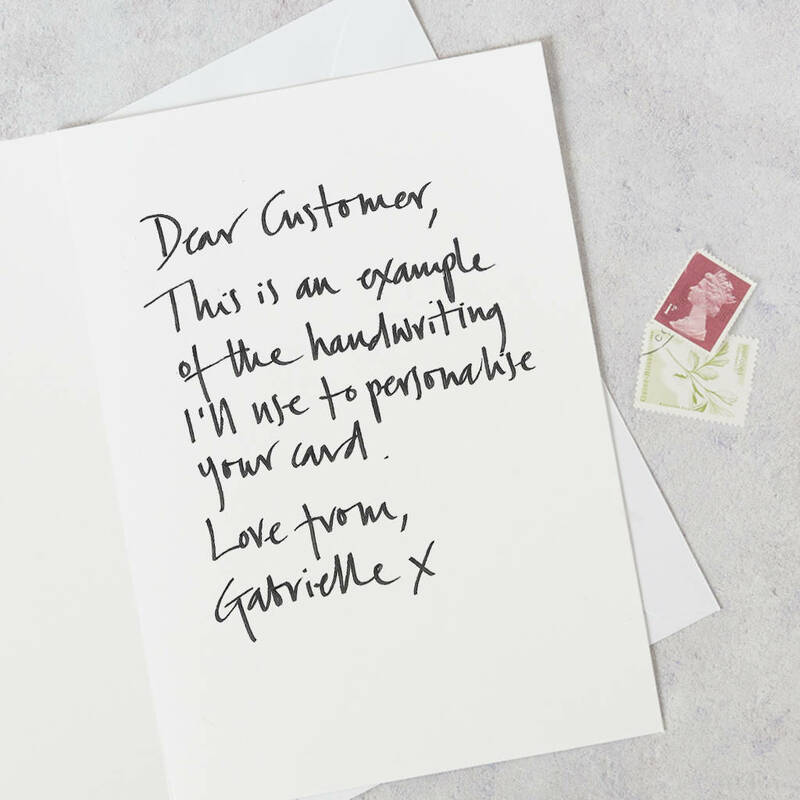 The greeting is typeset in a simple font. 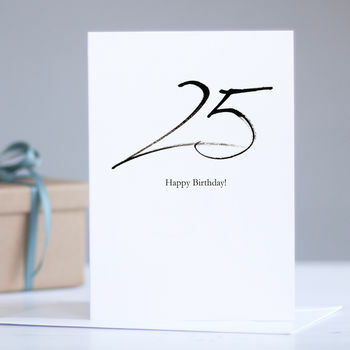 This 25th birthday card is part of the Age Range collection of cards, all of which can be personalised. Other milestone birthdays in the range include, 16th, 17th, 18th, 19th, 20th, 21st, 30th, 35th, 40th, 45th, 50th, 55th, 60th, 65th, 70th, 75th, 80th, 85th, 90th, 95th, 100th. Perfect for celebrating each special age birthday! This greeting card is suitable for sister, brother, cousin, nephew, niece, friends, best friends, girl friends, boy friends.